Yes, there’s talk about Symbian belle, even before the Symbian Anna is available as an update to other Symbian^3 phones like N8, C7. New firmware coming soon (here we go again) for 0555219 product code. QUESTION: When is the release date for X7/E6? They¡¯re supposed to tie in with new firmware. I¡¯ve heard mentions of June. But since when is June close to April? I thought products were meant to be closer to announcement? Technically however that is correct given the April-October and September-March of N8 and E7. PR3.0 has up to 136-157mb RAM on start up. I think there should be about 120mb to begin with (prior to any background apps launching and stuff). 4 homescreens (doesn¡¯t Anna have this?) what¡¯s 7 smooth? Maybe 7 homescreens with smooth draggable pages? 35% Faster than Anna. Which is already faster than V1. All on current hardware of course. 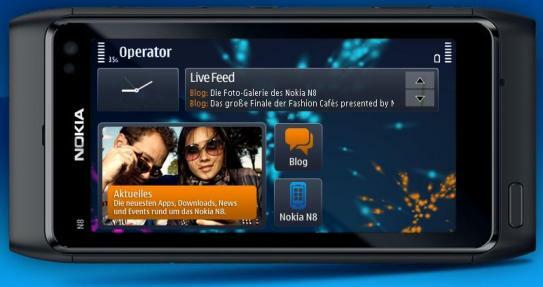 It¡¯s expected that Nokia deliver new Symbian phones on faster hardware (well Hello there 2010). Symbian^3 widgets are usually fixed in size, and users are offered the possibility to fit only a preset number of widgets to the phone’s homescreen, something that would change in Belle. Users would be able to reduce the size of widgets they do not need frequently, to leave more room for the more important ones.I have to admit though it sounds funny, Symbian Anna, Symbian Belle (Annabelle). Somebody Kindly inform me when they see the Symbian Anna available in East Africa, cant wait. Previous articleCould this be the end of FREE Calls on Skype? “35% Faster than Anna” That update should make the N8 stick up as my favourite Symbian phone. I prefer it to E7. now how do we upgrade from symbian^3 TO ANNA?? As soon as Symbian Anna is available for upgrade in the various symbian^3 phones it will be available OTA (over the air) and you should see it in your phone updates i believe. Wish there was a hack to achieve this earlier. By the time I get used to it the update will be available officialy, which is primed to be within the month 🙂 No need to risk software malfunction, I have come to reconsider.